Rough Charcoal Idea For Cover Of My Book "THE BRIDGE"
This is a rough vine charcoal sketch/design I came up with for the cover of my first novel "THE BRIDGE". I'm not happy with the top half so I'm going to have another go and put in a figure of a woman with incredibly long flowing hair standing in the middle of the bridge. Like in this image, her hair will stretch down to ground and further down the stonework to create the the words of the title. A dark stormy sky will be her backdrop. The other words will be put in during editing of the image. I am planning on soft pastel or an Ink/Watercolor combination to bring color into the final image. All that is seen in the image actually takes place in the book itself. I like to be honest with my readers and give them a hint of what they will find between the covers. Sorry for being so quiet for the past few days. I've been busy re-writing and editing novel #1. I've been using the critique I got as a guide and have been making some great changes where needed. The story is much stronger and more interesting I think. I might have it done by the end of the month. Where would you all like to see me go with it from there? In fact, I wouldn't mind hearing how many of you would like to see it come out in E-Book form in time for Christmas. I would really love some feedback on this one folks. Thanks so much for your help and support. Finally got a response today. Never thought I'd be so happy to be rejected but at least I have an answer. And while the novel was rejected I was also given a critique that gave me much food for thought. I'm going to do a rewrite of the story and try to decide where to go from there. More querying or try to e-publish. Any thoughts folks? 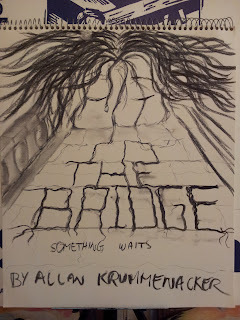 For those wondering and needing a reminder "THE BRIDGE" is a unique blend of paranormal horror/mystery/with a sci-fi twist that would make the Twilight Zone proud. Good morning all. It's 6:20AM here because I forgot it was Daylight Saving Time and the clocks went back an hour last night. Still, got a good night's sleep which is just fine. Been doing a lot of thinking lately about my first novel and the continuing wait about it's fate with an agent back in New York. 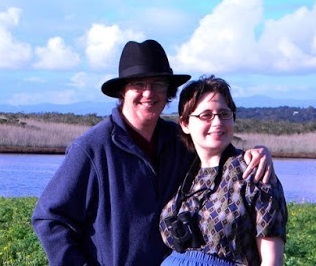 Yesterday I reached a decision and that was to begin querying more agents again. After 22 months of waiting I checked in with some friends yesterday who know the agent in question and assured me that there is no "Exclusive" arrangement and that I'm free to query other agents in the meantime. This was not known to me. I had always read in a number of blogs, articles and advice to writers that if someone asked for a full manuscript, you did not continue querying other agents, unless told otherwise by the agent who made the request that it was okay to do so. Just goes to show that not everything you read is always accurate I guess.